That doesn't mean we are satisfied with the healthcare system we have. These same data sources show that Canadians often have concerns over health care quality, timeliness and availability, and we frequently believe we are not getting the best healthcare bang for the buck. But one thing holds fast: Canadians want their health system to remain universal, publicly financed and based on need, not income. 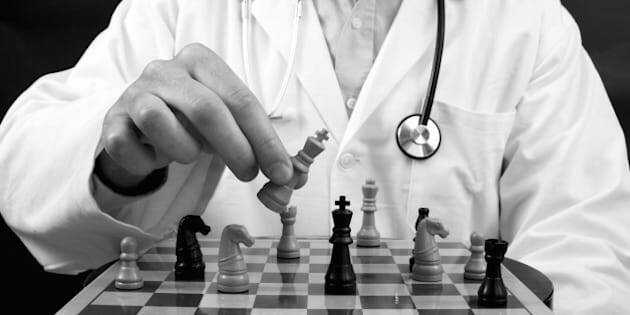 How healthcare is delivered in this country, to whom, where, and even how health providers are paid for health services is often the subject of vigorous debate. Whether it be public delivery, private, for-profit delivery or variations on private-public-partnerships -- this is the stuff of heated polemic. This debate can be partisan with preferences frequently drawn down party lines and with differing perspectives across regions. But polls show that the vast majority of Canadians -- across the political spectrum -- continue to value our single-payer system (medicare) to cover the costs for essential health services for all Canadians. Many pundits have pointed out that this viewpoint is so pervasive and long-standing that it is no longer just a Canadian preference, it has become a Canadian value. Nevertheless, we've had some significant changes to our health system in recent years. These include court challenges on how medicare operates, substantial alterations in federal government funding formulas used to determine critical healthcare dollars and a variety of changes in what is classified as an "essential health service" from provincial and territorial governments. There have also been systemic reforms in hospital funding in many regions -- not to mention shifts in health human resource availability and changes in technology (screening and pharmaceutical) that disrupt the traditional healthcare landscape. Then there's the perpetually evolving social and economic terrain that indirectly affects both our public policies and our health status, such as our aging population, growing economic inequities, challenges for affordable housing and childcare, among others. All of this should be big news, right? Not so fast. It is terrifically strange to see health policy issues so important to Canadians frequently absent in media coverage. So where's the news? The media landscape has changed dramatically over the last several years with legacy media outlets being elbowed from the front of the pack by new online media sources with agile operations (unhampered by the restrictions and costs of a print medium) and nimble economic restraints (frequently engaging non-unionized, young recruits). At the same time, Canadian patterns for media consumption are changing in a now predictable fashion: the dwindling of print broadsheets and magazines, particularly in the youngest demographics, and a steady upswing in the use of tablet and mobile devices to access both traditional and new media stories. But there are some constants. Turns out, Canadians continue to be immersed in media stories about sports, the economy and the weather, in that order. How much might surprise many. According to 2014 metrics, there were 10.9 million news items last year in Canadian media outlets (across mediums), and a whopping 37 per cent of those stories were sports-related. 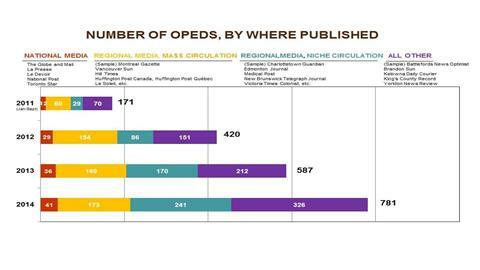 (Perhaps less surprising is that coverage of the NHL constituted 44 per cent of all Canadian sports news). Measured another way, of the top 50 news stories of 2014, 21 were related to sporting events. Why does this matter? It's when you get to the bottom layer of data -- the scrapings on the floor -- that you find that the least covered news stories in Canada might be the most important. Turns out, we spend the least amount of media time on stories that address poverty, the elderly, education, childcare and aboriginal issues. These five issues amount to less than one tenth of the space devoted in the Canadian media to cooking, says one recent report. Health content does slightly better, but constitutes a minor blip of just over two per cent of all media stories. In other words, we are all too frequently entertained -- and not educated -- by our media outlets. The stories that help us understand what influences public policy and the factors that determine our health status -- the so-called social determinants of health -- are left largely untold. Health policy writ large may be a topic of interest to Canadians, but it is not an easy sell for the media. On the whole, it seems health policy issues are absent or thinly covered by the bulk of media outlets (television, radio, print and online) now available to the public. This is not the fault of journalists; Canada has some exceptionally talented public health reporters, including the Globe and Mail's André Picard, Vox's Julia Belluz, the National Post's Tom Blackwell, Hamilton Spectator's Steve Buist, Winnipeg Free Press' Mary Agnes Welch and freelancer Ann Silversides, to name just a few. But since media outlets are struggling for survival, competing for precious ad dollars and strapped to meet the changing demands of a highly techno-savvy audience, policy rich stories are often left by the wayside. It is a constant struggle for health policy stories to compete for space in the media with sports, celebrity, economics and the weather -- and 'clickbait' stories with snappy headlines and ever shorter, punchy narratives too often take over. EvidenceNetwork.ca has tried to mitigate this reality and inject more health policy content into the news. How? Since 2011, we've worked to create a dialogue between Canada's journalists and academic health policy experts to enrich the quality and quantity of health policy stories in the Canadian media. We work with a media advisory board made up of journalists and professors of journalism from across the country who let us know what their needs, constraints and objectives are from a journalistic perspective. We also have a network of more than 80 health policy academics who are ready and available to be interviewed by the media and provide a non-partisan, evidence-based perspective from their areas of expertise. Our most successful initiative thus far has been having our academic experts author op-ed articles on health policy issues -- highlighting the evidence; they work with a professional editor to follow specific media guidelines, and then we publish the commentaries in the biggest media outlets across the country. The table below illustrates how successful this strategy has been and how receptive media outlets have been to these stories -- increasingly so. With our project, we hope to engage and enrich the dialogue and debate on a healthcare system that's so important to Canadians. As we head into a federal election year in 2015, it seems certain that many of these issues will come to the fore, and it serves our democratic system that they be aired and discussed with evidence as the foundation.